It’s no secret that heads of large tech firms tend to be cut from the same cloth: tough, no-nonsense, lacking a sense of humor. 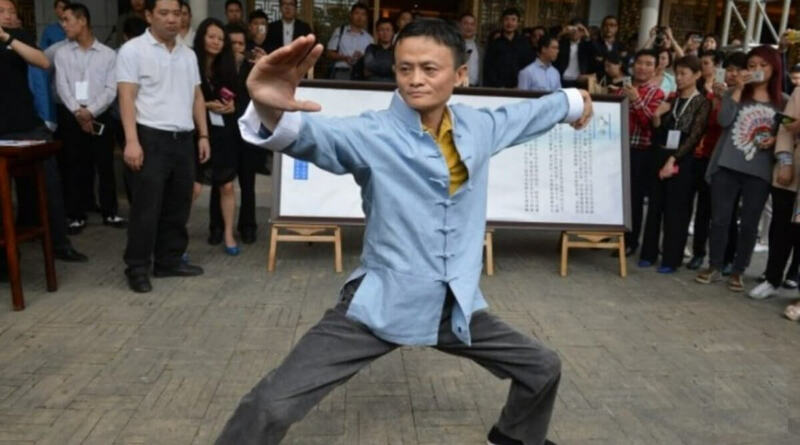 But one exception might be Alibaba boss Jack Ma. Famous for his eccentricity, his latest promotional act sees him starring in a short martial arts movie alongside some of the genre’s biggest names. Gong Shou Dao, which roughly translates into “Martial Art” that is based on “Guard and Defense,” will promote the health benefits of the martial art Tai Chi, which Ma has long practiced. The chairman plays a master of the ancient art in the upcoming title; it’s hard to imagine Tim Cook or Jeff Bezos doing anything similar. The movie features Donnie Yen from 'Rogue One: A Star Wars Story,' Jet Li, Tony Jaa, Sammo Hung, Natasha Liu Bordizzo from 'Crouching Tiger, Hidden Dragon', and many more famous Asian stars, none of whom were paid for their roles. Jet Li, best known for his parts in movies such as Hero and the Expendable franchise, owns a Tai Chi ‘”lifestyle company” with Ma called Taji Zen. Gong Shou Dao will be released on China’s Singles’ Day—the world’s biggest shopping event. Alibaba made $17.8 billion in sales on 11.11 in 2016, and it’s expected to pass that figure this year. The online retail giant says the two events aren’t linked. Last month, Ma showed that he could dance as well as act by performing an on-stage routine to several Michael Jackson tracks at Alibaba’s 18th birthday celebrations. In 2009, he sang Can You Feel the Love Tonight from the Lion King at his company’s tenth-anniversary party (skip to the 01:16 mark in the video below), a performance that suggests he should stick to acting and dancing.